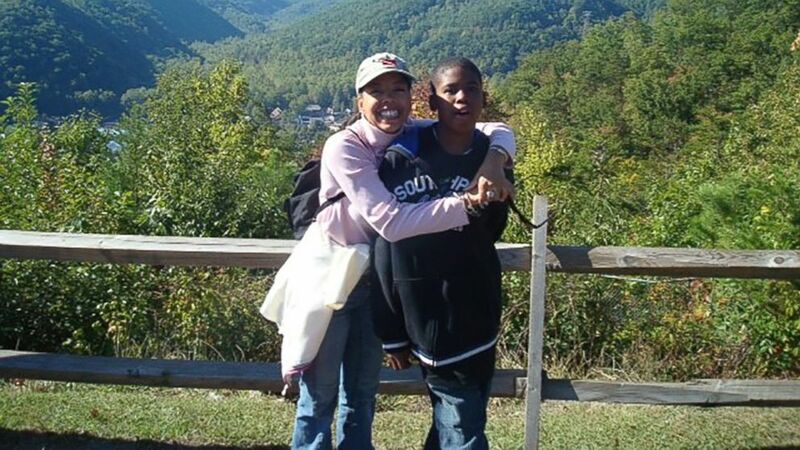 Lucy McBath is part of a movement: Parents who've lost children now running. 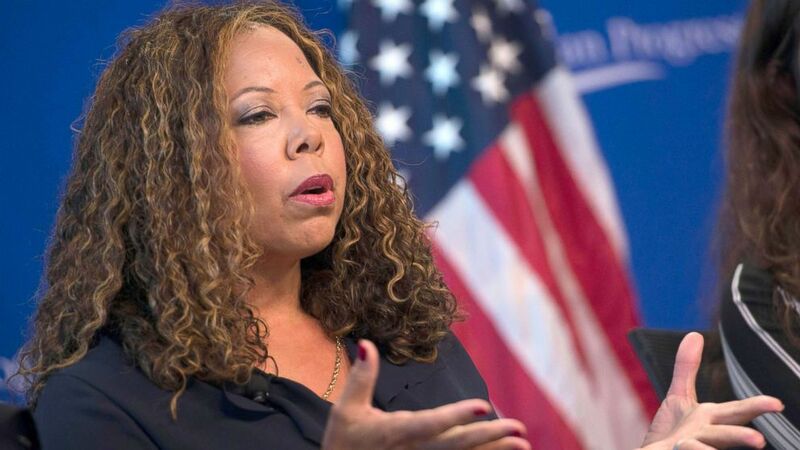 Gun-control activist Lucy McBath, whose teenage son was shot and killed in 2012 by a stranger at a gas station, won the Democratic nomination for Georgia's 6th Congressional District. "I am at a loss for words. Thank you to my supporters, friends & family. And I want to thank my dear Jordan, my rock & inspiration," McBath tweeted after the race was called. Her son, Jordan, was 17 when he was killed. A former flight attendant and spokesperson for Everytown for Gun Safety, McBath decided to run for Congress in March, after the shooting in Parkland, Florida. Over the course of her campaign, she received influential endorsements of several prominent Democrats, including Sens. Kamala Harris, D-Calif., and Kirsten Gillibrand, D-N.Y., and Rep. John Lewis, D-Ga.
On Tuesday, she beat fellow Democrat Kevin Abel by about 2,000 votes in a runoff election after no candidate hit the 50 percent mark in the Democratic primary race in May. McBath will now face Republican Rep. Karen Handel in the general election. If Georgia’s 6th district sounds familiar, that's because a special election there last year was widely reported on and viewed as a barometer of public opinion on President Donald Trump. Democratic hopes were defeated by Handel, who beat Democratic opponent Jon Ossoff and made history by becoming Georgia’s first Republican woman to represent the state in Congress. McBath would also make history if elected -- she would be the only black woman in Georgia's congressional delegation -- but maintains that she never saw a foray into politics in her life plan. "I never expected this to happen, but I know that in light of all my experiences, to not to do anything is a tragedy in itself," McBath said in an interview with ABC News just days before the May primary -- and just days after the nation watched another deadly high school shooting unfold in Santa Fe, Texas. It was the sixth fatal school shooting since the attack in Parkland. When it happened, McBath was on the campaign trail in Georgia. And she knew what the parents were going through. "I was just as angry and devastated ... with Santa Fe as I was for Parkland because Jordan was the same age as all these children that have been gunned down," she said. Now, McBath is part of a growing movement: Parents who've lost a child to gun violence deciding to run for office. 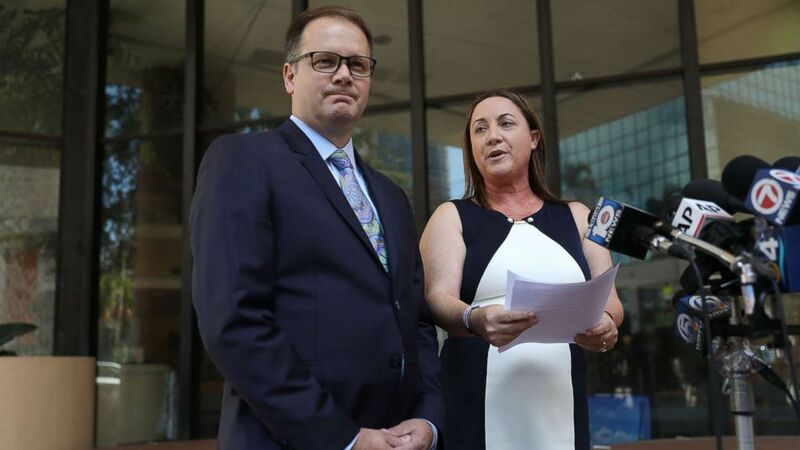 (Joe Raedle/Getty Images) Ryan Petty and Lori Alhadeff speak to the media after turning in their paperwork to run for the Broward County School Board, May 15, 2018, in Fort Lauderdale, Fla. Ryan Petty's 14 year old daughter Alaina JoAnn Petty and Lori Alhadeff's 14 year old daughter Alyssa were killed during the mass shooting at Marjory Stoneman Douglas High School on February 14th. The deadly shooting in Parkland inspired others to run as well, including two parents whose teenage daughters were killed at the Florida high school and are now running for seats on their county's school board. "I'm sure you'll continue to see more parents like myself who are losing their children standing up," McBath said. "It's just going to happen." My heart is broken for the students and families of Santa Fe Texas. I am praying for you, but I promise to spend the rest of my life protecting U and those like you. #standingwithU ???? McBath is running in a district that hasn't been represented by a Democrat since 1979 but that Hillary Clinton nearly turned blue in 2016, losing by less than 2 percentage points to Trump. “We know the eyes and ears of the nation are here, we’re really trying to make sure that democracy works here in our state and make sure that it works for everybody,” McBath said in May. “At least I am,” the candidate added with a laugh. 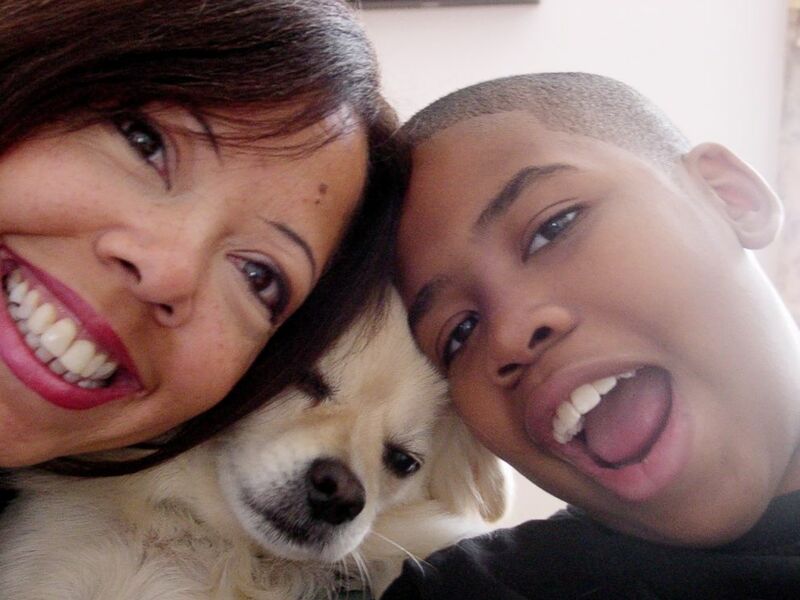 (Lucy McBath for Congress) Lucy McBath, a Democratic candidate for Georgia's 6th District, with her son, Jordan Davis in this undated file photo. According to the most recent FEC filing earlier this month, McBath had just over $151,100 heading into the runoff. Handel, the incumbent, heads into the general with more than $1 million. Everytown for Gun Violence has played an active role in McBath's campaign, dropping at least $1 million in support of the candidate. McBath's nomination in the red state comes at a time when Georgia faces more firearms deaths than the national average. In 2016, 1,571 people died in Georgia from firearms, according to the Centers for Disease Control and Prevention -- bringing the rate of deaths to 15 per every 100,000 residents. The national average in 2016 was 11.8 per 100,000. But McBath is adamant that she is not an anti-gun candidate. According to her campaign, McBath wants background checks for all gun sales, the defeat of conceal-carry reciprocity, a higher minimum-age-of-purchase and laws that ban domestic abusers and criminals from buying guns. “The thing about it is that I'm not against guns. I’m not against the Second Amendment. I’m not against law-abiding gun owners and hunters owning their guns,” she said in May. “We have to get a grip on keeping the guns out of hands of people who should not have them,” McBath said. Throughout her campaign, she’s tried to push back on claims that she’s a one-issue candidate. Knowing what it's like to lose a son, she said, she can understand other issues that hurt families -- such as immigration and the fear of losing someone to deportation. “I know what it's like to tear families apart from gun violence -- we shouldn’t be doing that with immigration,” McBath said. Other parts of her platform are inspired by her experience raising her son and being a single mother. At one point, she was so disappointed in the education system she decided she had to homeschool him. “I recognized my neighborhood wasn't going to be able to give Jordan the education I wanted him to have,” she said. Editor's note: Karen Handel is the first Republican woman to represent Georgia. An earlier version of this story said she was the first woman.